A cross between a martini and a negroni, the white negroni cocktail is a wonderful drink. Light in color and full of flavor, this gin cocktail is the perfect aperitif to start your evening off right. Two of my favorite cocktails are the martini and the negroni. Both are made with gin and vermouth, but go their separate ways from there. The white negroni cocktail is also made with gin and vermouth, along with the addition of a gentian aperitif liqueur. For this recipe, I used Salers but another liqueur that can also be used is Suze. 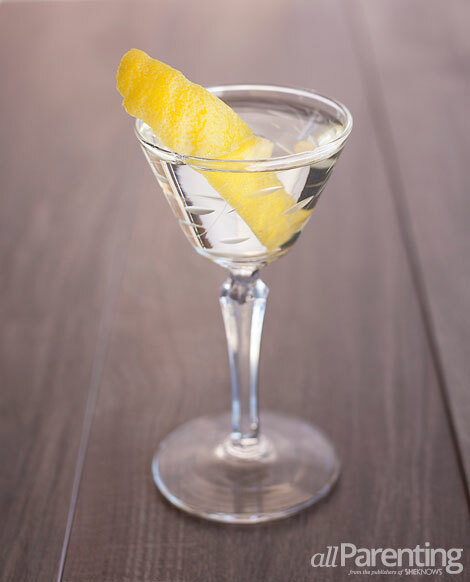 I have tried many different variations of this drink, including swapping the dry vermouth for Lillet Blanc, Cocchi Americano and Dolin Blanc vermouth. My favorite was dry vermouth, but if you feel like experimenting with the others, go for it. Just keep in mind, you might need to adjust the ratios based on the ingredients you use. Add all ingredients except for lemon peel into a mixing glass with ice. Stir until thoroughly chilled and strain into a chilled cocktail glass. Garnish with the lemon peel and enjoy!